The official North Carolina DOT site all but eliminates the need for residents to visit the motor vehicle agency of the state with the online services that this site delivers to all its customers. You can easily check the list of vehicle services that you can avail from the comfort of your home here. Find North Carolina DOT offices above. The North Carolina Department of Transportation takes convenience a step ahead by enlisting a Quick Tasks tab for all users. This has all the things people most commonly visit the DOT offices for, and have to endure waiting in long queues. Through Quick Tasks, drivers can change details they have listed with the DOT; for example, a change of address. The service allows them to view the fee list for different things they would like to avail or check to compare with third party vendors that offer similar services though they may not be affiliated with the government. There are also helpful resources for teen drivers who are applying for a license for the very first time, or would like to learn how to drive. 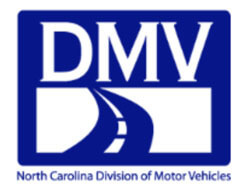 Users can contact NCDMV through the tab as well, check liability insurance, renew registration easily, and even order custom license plates for their vehicle. Through the License and ID section drivers can download the Driver’s Handbook for free, request duplicate license, fill the form to renew their license, pay liability insurance, and even driving records and history. Motorcyclists can access the safety handbook, apply for a provisional, commercial, or a regular license, and even apply for a learner permit if they like. The requirements for these are also listed with the fees and the knowledge test for motorcyclists. If they pass this, only then can they move to the skills/road test.